These are the evening discourses from the 3-day Old Student Vipassana course, which is open to those who have completed a 10-day Vipassana course as taught by S.N. 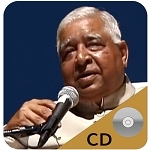 Goenka. They were recorded at Dhamma Giri, Igatpuri, India, in 1988. 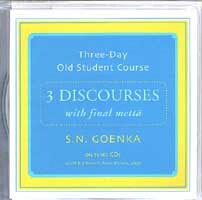 I found the 3 day discourses very useful. The actual 3 day course becomes clearer when you listen to this CD. Listening to it a couple of times is the better way to make the contents clearer.